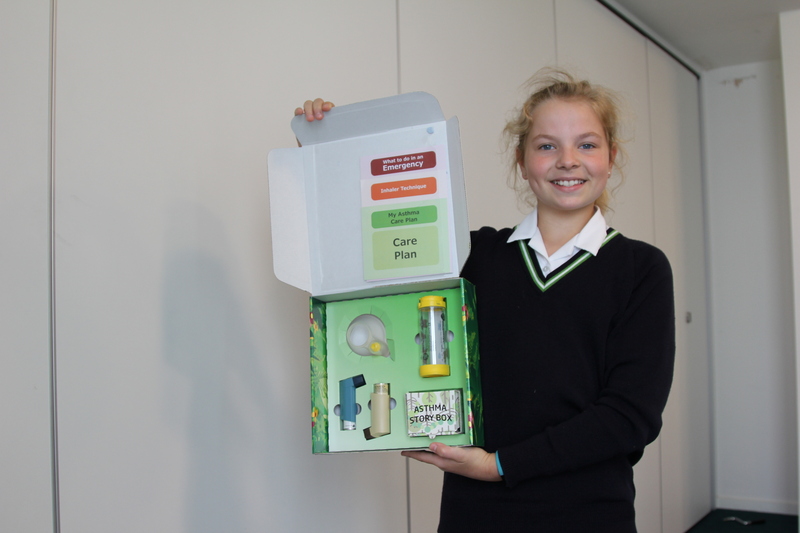 Solutions designed by secondary school students as part of an innovative classroom design and technology programme could help reduce the number of unnecessary deaths from childhood asthma. I feel like I am doing something for a purpose and it makes me feel happy that I am helping people. 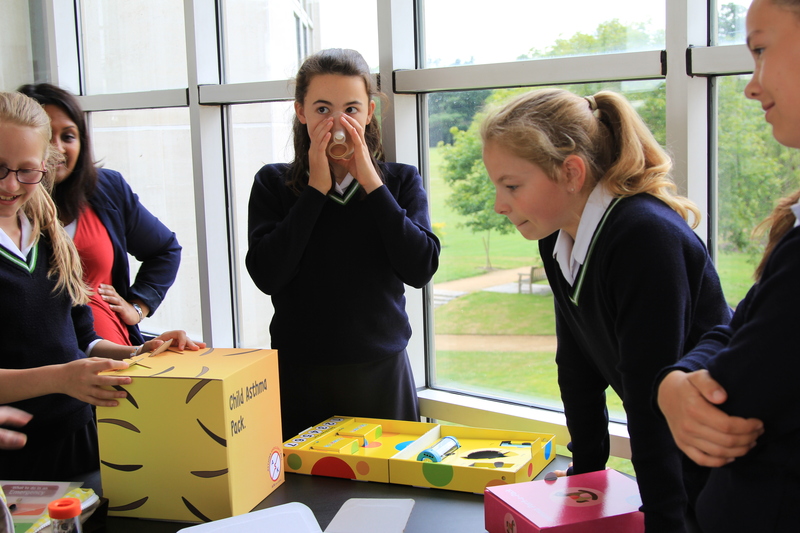 The programme, called Designing Our Tomorrow, was founded by researchers at the University of Cambridge, and brings real-world problems into classroom design and technology sessions in secondary schools, and encouraging the next generation of UK designers and engineers. 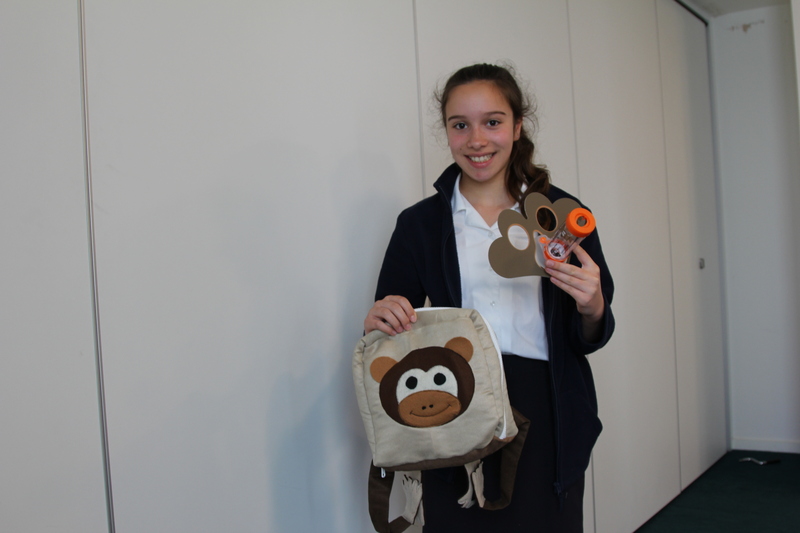 Five of the best designs were presented by students from Wimbledon High School GDST at the British Paediatric Respiratory Society conference last Friday (30 June) in Cambridge. 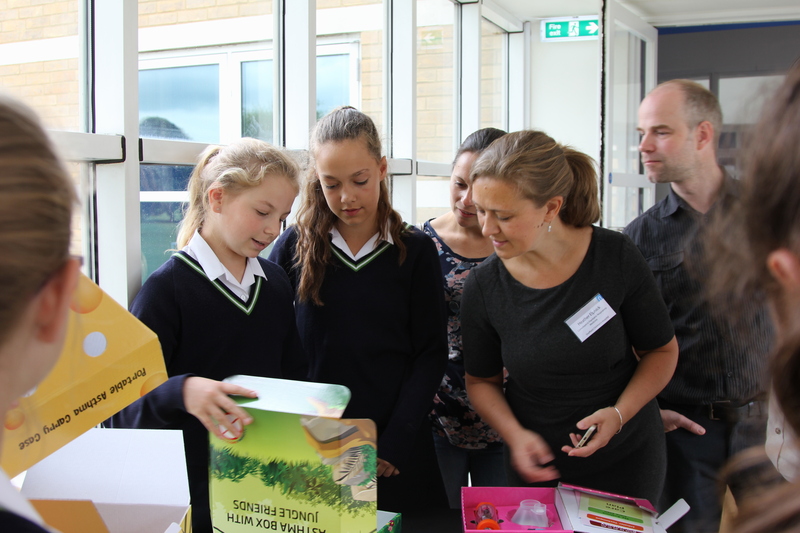 Students were not merely designing packaging but an experience. 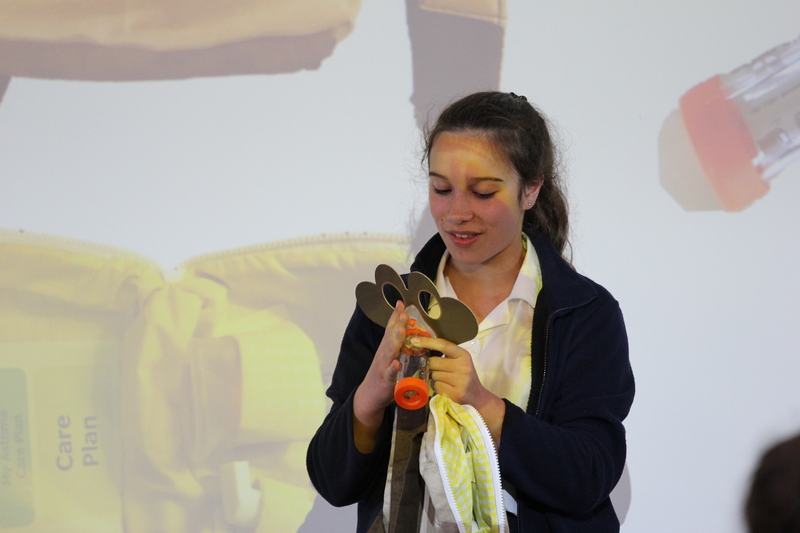 Themes included a monkey character where the inhaler and spacer become a banana that the child can ‘feed’ the monkey with and then copy themselves. Other themes include a pack shaped like a cat where the inhalers become mice that are stored in a smaller box shaped like a wedge of cheese; and a folding pack that can hang on a door for easy access at home but can be quickly zipped up and put in a bag to take out. “Seeing how people were scared of asthma…this affects and could benefit a lot of people. 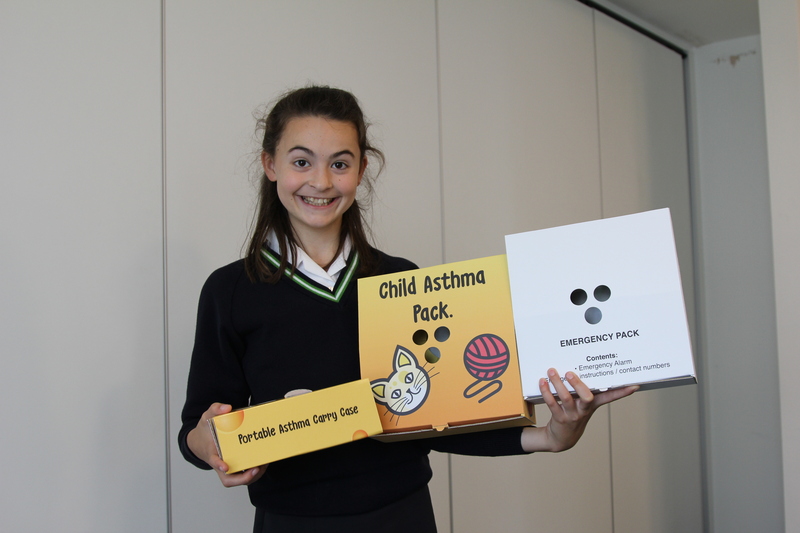 The child wanted it to be fun, the gran wanted emergency instructions, the parents wanted it to be compact and small and the nurse wanted it to be organised – so we took all of that and designed our packs,” said Charlotte, aged 11 from Wimbledon High. 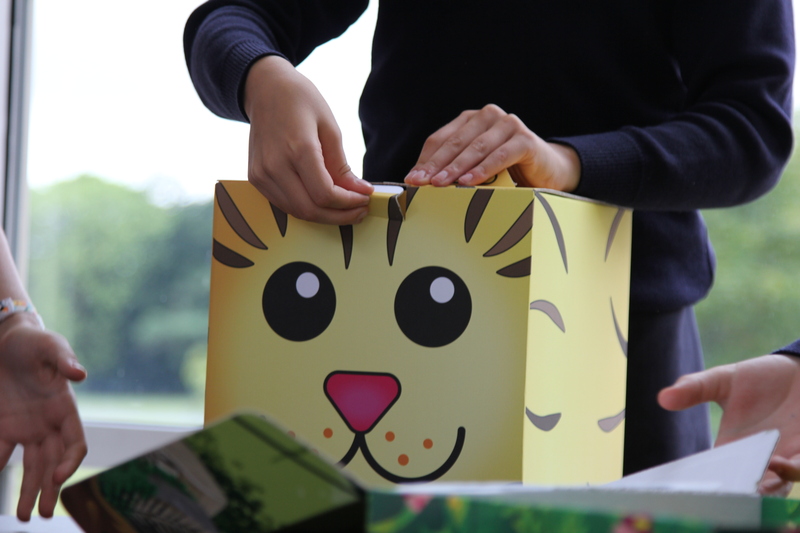 Several of the designs have been made into initial corrugated cardboard prototypes by UK packaging company DS Smith, with the aim of piloting them in partnership with the NHS in London through the Healthy London Partnership. Asthma affects one in 11 children in the UK. 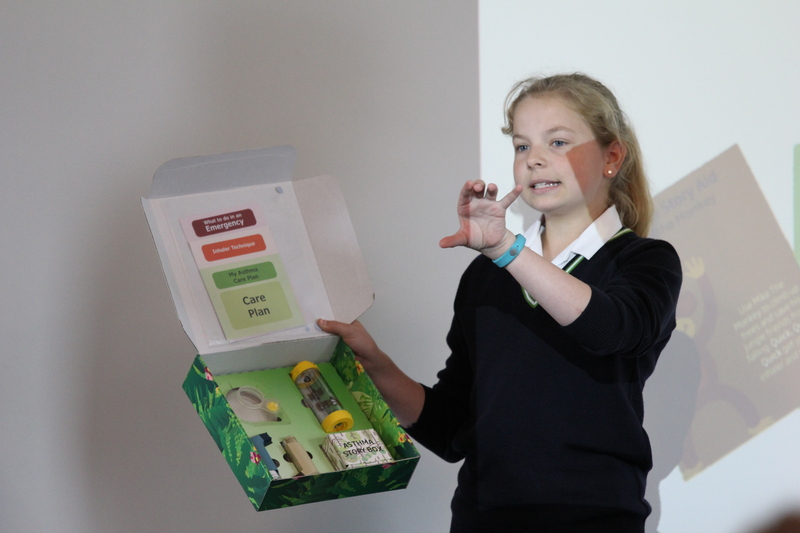 On average, there are three children with asthma in every classroom in the UK, and a child is admitted to hospital every 20 minutes due to an asthma attack. 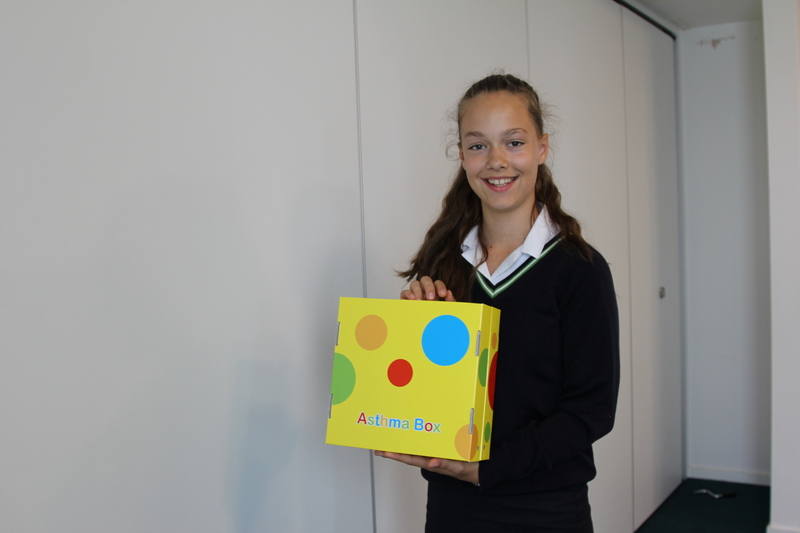 This DOT project has focused specifically on asthma in children under six years of age. It addresses the anxiety that a child feels in the early stages of treatment and the co-ordination of the equipment and their instructions to help ensure compliance with their treatment plan. 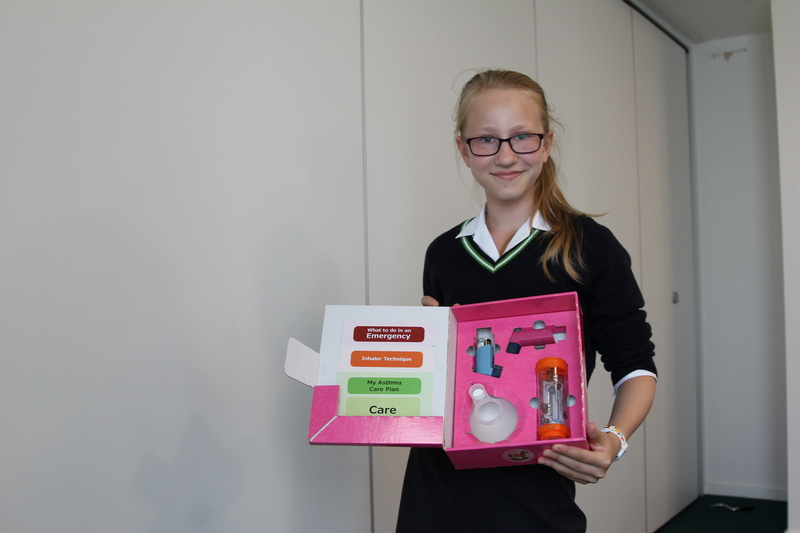 Each of the students was given all of the tools which a child with asthma or their carer would need to manage their condition, including inhalers, spacers, and emergency instructions. 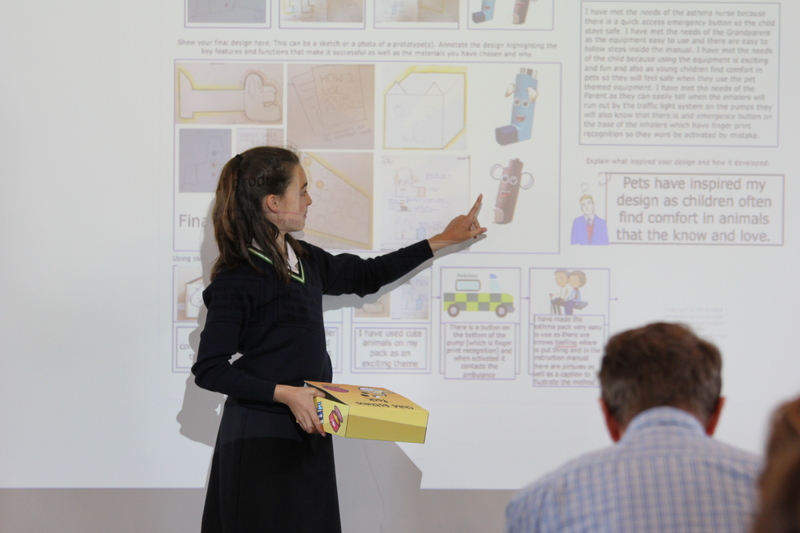 Through a set of classroom lessons, the students’ way of thinking was developed in order to help them understand how to be creative by breaking fixation through the use of stimulus. Fixation is a common problem in design – for example, if you’re trying to design a new type of chair and all you’re shown are other chairs, you’ll just end up designing a variant of what already exists. “If I want to design a new chair, the last thing I should look at is a chair,” said Bill Nicholl from Cambridge’s Faculty of Education, who co-leads the DOT programme. 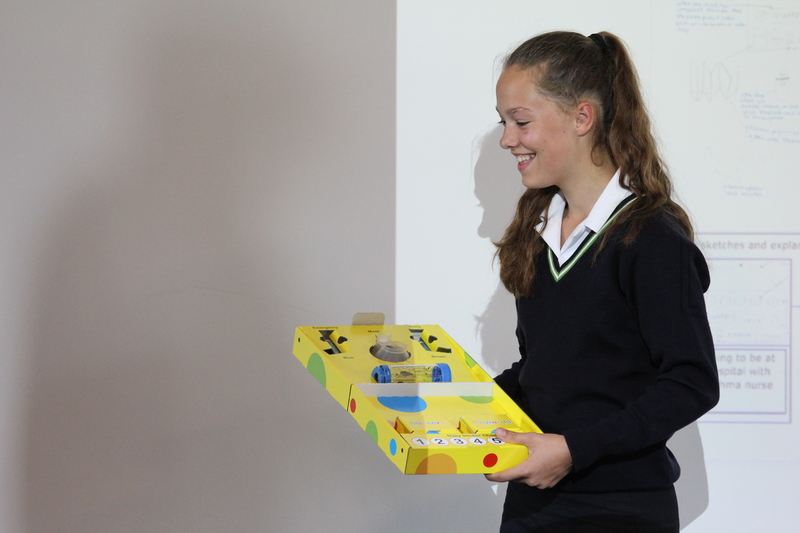 The students from Wimbledon High also gained valuable industry experience working with DS Smith, who will help refine the students’ concepts into something that can be manufactured in large volumes. “By working with industry, it takes the project beyond a competition to something that can make a difference to patients and help prevent avoidable asthma deaths in children,” said Hosking. “This project has shown yet again the potential of young people and their ability to engage with, and ultimately solve, complex design problems. We underestimate their creativity at our peril. 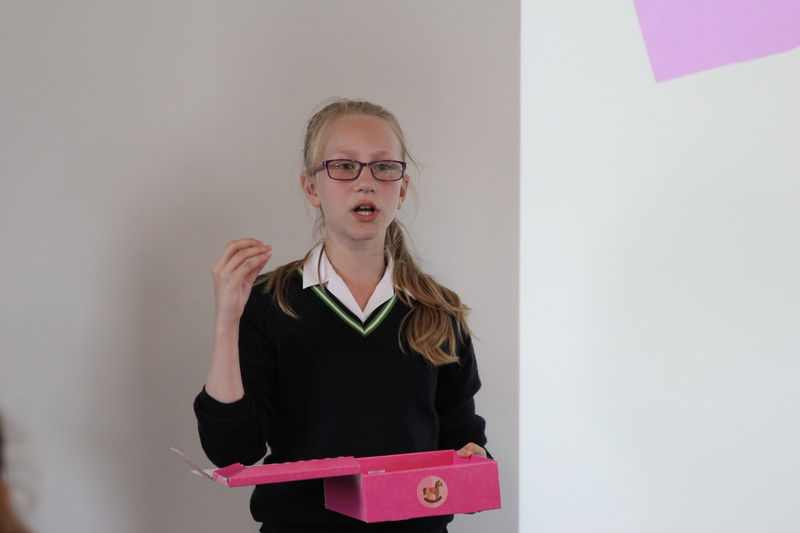 Solving real problems like this should be at the heart of all young people’s educational experiences,” said Nicholl. DOT is funded in part by engineering design consultants Peter Brett Associates and ARM Ltd.